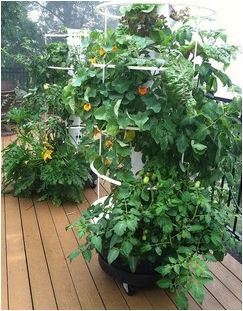 Aeroponics - What Is That? The water drains down through the medium (clay, gravel) that your plants are growing in and then dumps back into the fish tank. Not only does this recycle water and grows your plants but it also grows fish!! There are several ways you can do this, but a fish tank system is the easiest. ​Fish are the power house of an aquaponics system, they provide the nutrients for the plants and if your growing edible fish, then they also provide protein for yourself. Keeping fish may be a little daunting to some, especially those without any prior experience, however you shouldn’t be discouraged. 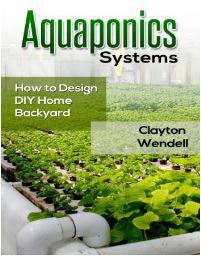 Keeping fish in an aquaponic system is more simple than keeping aquarium fish, so long as you follow simple guidelines then growing fish from fingerling size, to ready to eat fish can be extremely simple. I hope to add a little more garden space to my yard this year, but with our permanence at this house being so up in the air, I have been a little hesitant to make any huge investments. Last year, I thought I was “settling” by having several containers on my back patio, in lieu of spending money on more garden boxes, but it turned out, it wasn’t settling at all. The containers did really, really well. I don’t know if it was just last year being unseasonably warm, or if the containers, protected a bit by the house, actually produced longer than my tradition garden. Either way, I plan to put the containers to the test again this year.